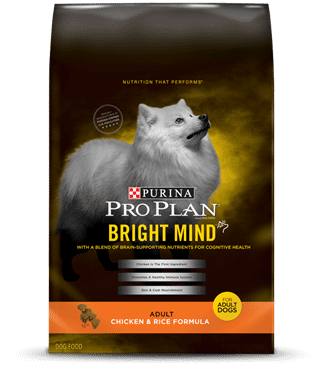 Purina Pro Plan Bright Mind promotes alertness and mental sharpness in dogs age 7+. If your dog is showing signs of less interaction and activity with you, he may be dealing with decreased cognitive health in the brain. That is exactly why Bright Mind was developed – to promote memory, attention, and trainability. Made with real chicken as the first ingredient, it’s super yummy too! We would be happy to answer more questions, just give us a call at 830-709-3674. 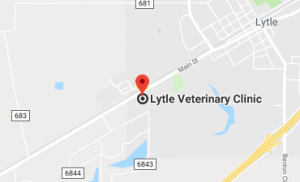 Lytle Veterinary Clinic is South of San Antonio following I 35 off at Exit 133 straight down Hwy 132 (Main St.) on the left hand side at the end of Downtown Lytle. From Devine take the 35 Fwy. North, Exit Benton City Rd. and take a left. Go straight to Main St. and turn Left. We are 1.5 minutes down the road on the left hand side. From Natalia Take Hwy. 132 towards Lytle, we are on the right. Copyright© Lytle Veterinary Clinic, Inc. All Rights Reserved.